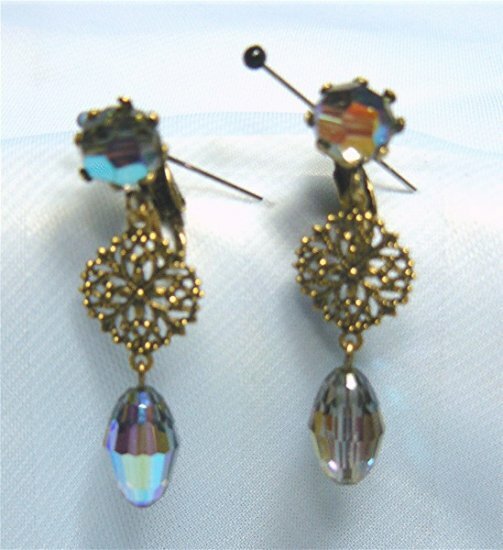 I can't tell the age on these lovely earrings...they may only be on the edge of vintage but they are certainly lovely! The smoky AB crystals give an air of mystery and the filigree-pattern midsection gives such a nice touch. They measure 1-1/2" x 1/2" and are clipons. They are unsigned. Whenever a touch of discreet glamour is in order, these are bound to be a favorite!